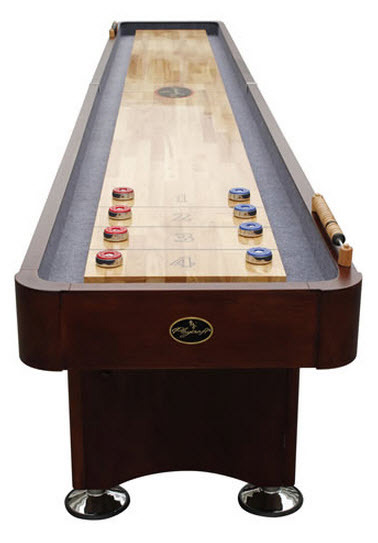 How many climate adjusters come with this shuffleboard table? 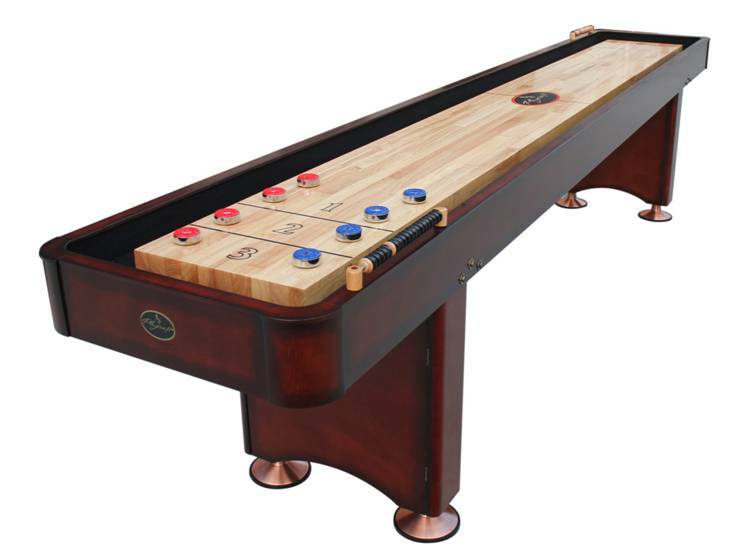 What type of wood is the butcher block (playing surface)? 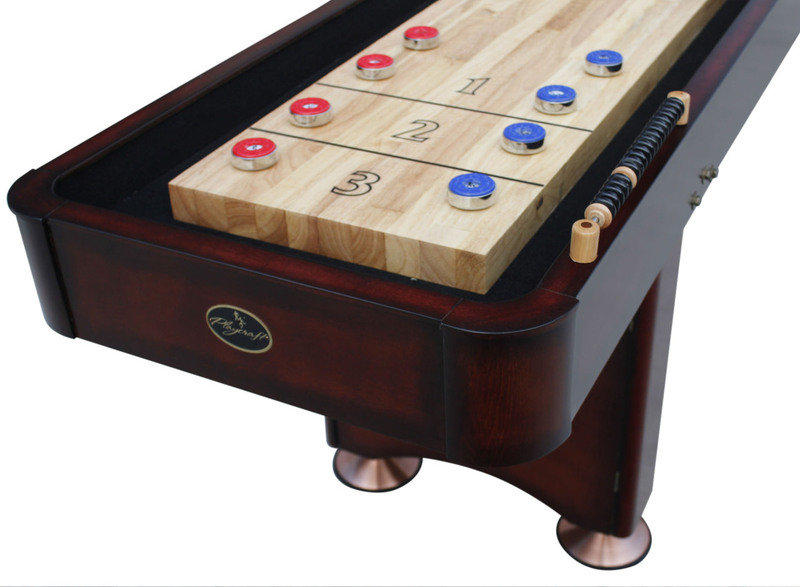 The 12' Georgetown Cherry ShuffleBoard Table, features a set of climatic adjusters on each end of the shuffleboard table and in the middle (three total) which allows you to climatically adjust the table as needed to maintain a level playing field year round. The butcher block is constructed of a hard rock maple playing surface with a nice lacquer finish on top.